Last week I was asked for my opinion about a starter camera. I had been discussing some of the lighting techniques I use in the field, and had spurred some interest in exploring some of these lighting techniques, including using an off-camera flash. My new friend was leaning towards a Canon G15, the latest iteration in a long line of sophisticated point-and-shoot cameras. His reasoning was sound, since the camera combines high performance, good pixel count, and high-definition video. My response probably won't surprise anybody who has followed this blog for any length of time. I told him that the small size of the G15 and the small flash control feature set were a handicap. My qualified choice is the Nikon D70 or D70s, a ten-year old camera with a solid reputation for value and performance. I own more than a handful, and use them constantly when experimenting with new lighting arrangements. It is also my "fun" camera, and when coupled with three lenses (10-24 Tamron, 24-70 2.8 Tamron, and a 70-300 Nikkor) and a flash (Nikon SB-800), it's at the center of my kit when I'm shooting for my own pleasure. David Hobby also believes that the D70s (an improved D70) makes a good, fully functional starter camera. Since his article was written, D70/70s bodies have dropped in price, and to some extent, serviceability. I add this last caveat because any specimen you're likely to find for sale will have been used that much longer, or may have been subjected to longer periods of user abuse. I'm sure my recommendation could be easily dismissed on a number of levels. 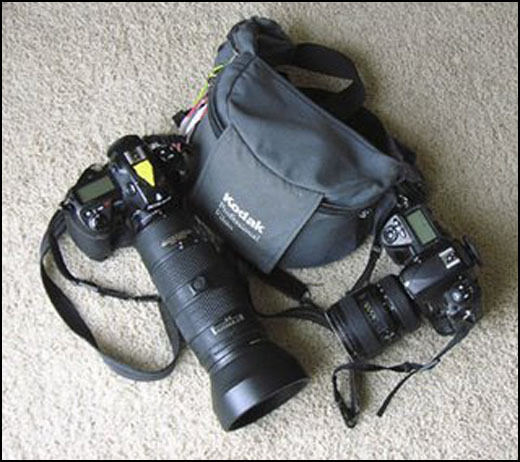 However, there are some features that set the D70 apart the other DSLR cameras that you might be considering. So before you consider purchasing one, you had better review these pros and cons, based only on features. Here are some reasons why you should own a D70/70s. Size and weight: The camera with its plastic construction makes the camera easy to hold and use. I find the ergonomics very accommodating, although photographers with really large hands might not agree with me. It suffices to say that I don't remember ever making a accident change in settings because a control button was pushed accidentally. Compatibility with AF lenses: New entry level Nikon DLSR require AF-S lenses which have the focusing motor built into each lens. The D70 has its focusing motor built into the body, so it can work with the older AF and the newer AF-S lenses. 1/500 Flash Synchronization: The 1/500 flash synchronization is a big plus when using flash outdoors, and is top on my list for useful features. This gives the user some flexibility to work with flash outdoors. Pop-up Speedlight Commander:The pop up speedlight can be used to control a iTTL enabled off-camera speedlight. Users are limited to a single channel (A) and a single group (3). This is somewhat limiting, but when you're starting out, you may only have one off-camera speedlight to control. Not the 2 group, 3 channel capacity of the more expensive DSLR, but a good place to start.One thing: the D70's built-in serves only a commander and does not (normally) contribute to the exposure. When shooting up close, the built-in can add to the exposure, making for some lighting irregularities. When working close, you might want to use a Nikon SG-3IR IR Panel. 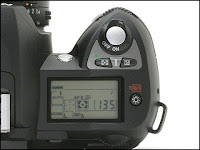 Twin Command Dials: For those wanting full control over the aperture and the shutter speed, the D70 (normally) uses the front command dial for the aperture and the rear (main) command dial controls the shutter. Topside Control Panel: Entry level Nikon use the rear LCD panel both for view previews and as the Control Panel when making adjustments. I find this a bit clumsy, since you cannot simultaneously view the image and the camera settings in these newer cameras. The placement of the Metering Mode button and the Exposure Compensation button makes them easy to reach with the index finger while your thumb uses the Main Command Dial to make adjustments. I find this a very logical layout, and this is the main reason I went with Nikon and passed up Canon and the then-new Sony. Focus Selector Lock button: When using the Single Servo Focusing Mode and the Auto Focus Area Mode, the focus selector lock button allow you to select which focusing brackets you prefer and lock them in place. This prevents accidentally choosing the wrong focusing brackets by accidentally pressing the Multi-Selector. Because the D70/D70s only has 5 focusing brackets, I find it more reliable to lock my focus by depressing the shutter release, and shoot. CF Cards: Compact Flash cards are larger and a tiny bit more fragile than the SD card, but D70/70s users could use higher capacity cards, while the D70's contemporaries that utilized SD cards were limited to 2 Gigs. Blinking Green Light of Death: Early D70s can succumb to the Blinking Green Light of Death (BGLOD). Nikon did not do a recall on all D70s since the problem only occurred in early production cameras and was traced to a circuit board that was subcontracted out. I had two cameras succumb to the BGLOD, and sent them to Nikon. One was repaired, free of charge, and the other wasn't. Required Firmware Upgrade: You may encounter a D70 that needs a firmware update. 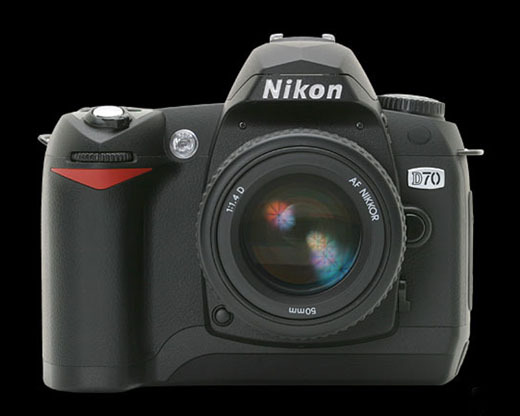 Improvements became available after the initial release, and the firmware upgrade brings the D70 performance closer to that of the later D70s. The update is a little scary to do, but read the instructions and follow them exactly. You and your camera will survive. 6 Megapixels: One last con, but a small one. The D70 is a 6 megapixel camera, producing an image that is 3000 x 2000 pixels. For images 8x12 or small, this is entirely adequate, so long as you avoid cropping and compose carefully. Ridden Hard: I purchased an eBay special that appeared pristine. When I ran it through Opanda, I found that this D70s had been used, and used hard. I was fooled because the outside didn't match the inside. Unfortunately, it died, and I never bothered to have it repaired. Put Away Wet: The cameras are getting old. Improper storage can encourage corrosion. I have on body that has a spot of corrosion on a non-contact area of the lens mount. In this particular body, everything else works fine. Buying Used: Obviously, any D70/70s you purchase will be used, and as I said, sometime used hard. It is not impossible for someone to purchase one, and have it die almost immediately, expecially if you buy on eBay. I'm sure that most dealers try to describe the merchandise accurately, but there is still the element of risk when buying anything online. I suggest that you purchase from a local dealer who will give some sort of return policy. Buy it, use it, and see if anything "strange" happens during your test drive. After you're satisfied that the camera is performing satisfactorily, get the sensor cleaned. I know that buying used equipment may not be something you would care to do. But a good D70/70s body will give you a camera that allows the user to manually select a wide variety of settings to encourage experimentation, while retaining an "Auto" setting and several specific shooting modes to help you get the ball rolling. And with asking prices in the $100-$150 range, they are hard to resist.